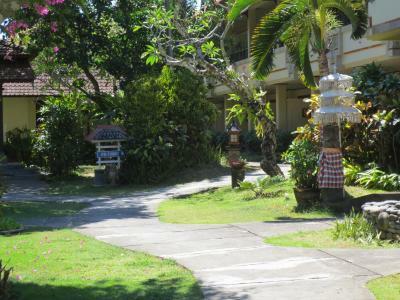 Lock in a great price for Besakih Beach Hotel – rated 8 by recent guests! 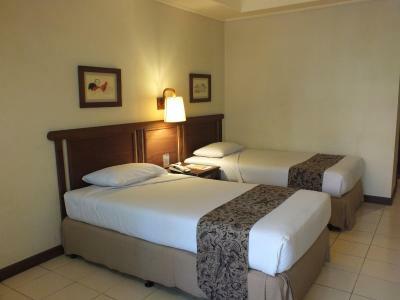 The rooms are spacious and comfortable - although dated everything is clean and if good condition and works. 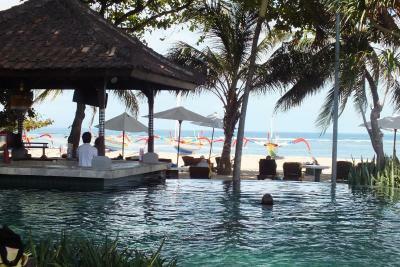 By comparison to rates at surrounding resorts the Besakih is excellent value for money - like all things in Bali not everything always goes according to plan but the staff attentention is flawless when anything is not right. 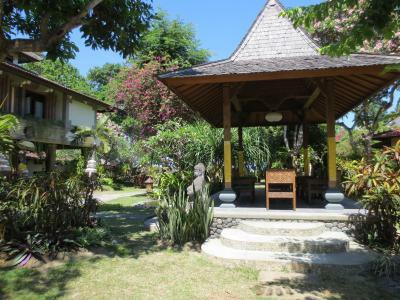 We were not expecting a plush resort but the Besakih exceeded our expectations - there is lots of character and charm and the ambiance is relaxed and friendly - the gardens and ground are exceptionally beautiful and well maintained. We found everything we needed was well within pleasant walking distance - we will defiantly be booking here again. Location excellent. Clise to shopping and activities. Breakfast adequate. 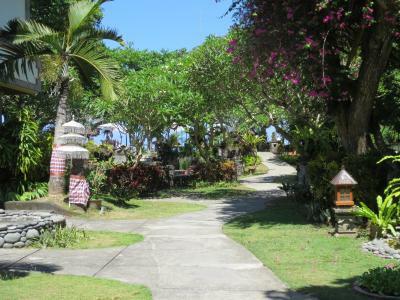 Beautiful garden setting but next to sandy beach. The staff were all very friendly and smiling. The location on the beach was perfect. Shops, currency exchange, massage spas, and restaurants were all right there. The complimentary breakfast had tons of fresh fruit, cereal, eggs, bacon, toast, and yogurt. The service was top notch. The front desk staff arranged for out fast boat to Nusa Penida. Plenty of hot water and the a/c worked well. I recommend this place and would definitely return. 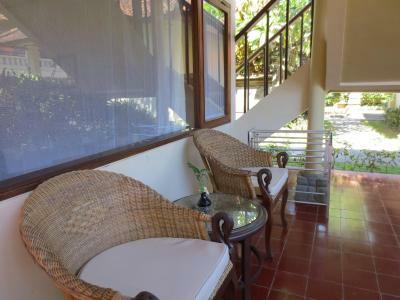 Great location right on the beach promenade and the shops. Beautiful pool and garden setting. 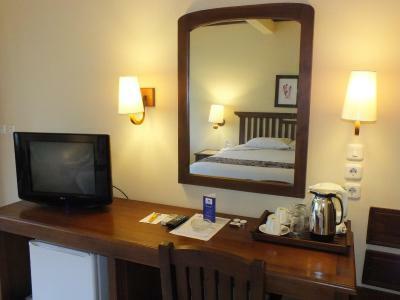 Rooms are a little older but clean and staff are fantastic. Hotel attracts older guests. Quiet. pool size and position was great. Ground floor is much better than 2nd story. Big trees on beach front to provide shade while in Deck chair. Breakfast eggs were freshly cooked. 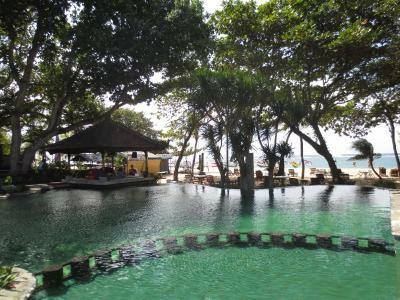 Best beach resort to stay in Sanur. Bang on the beach. Friendly and always smiling staff. 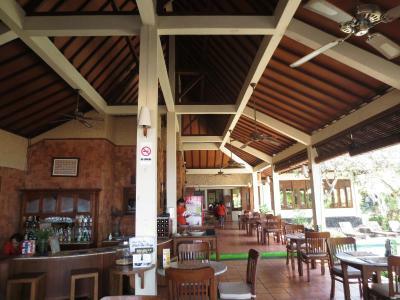 Great location in Sanur, beachfront and close to the main area. Good value for money. Good location. Great pool and beach area. Friendly staff. 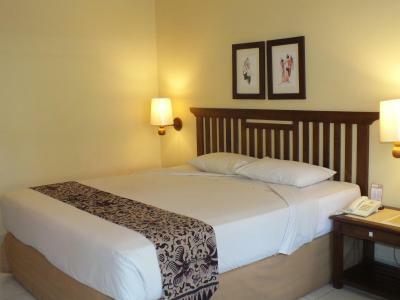 Besakih Beach Hotel This rating is a reflection of how the property compares to the industry standard when it comes to price, facilities and services available. It's based on a self-evaluation by the property. Use this rating to help choose your stay! 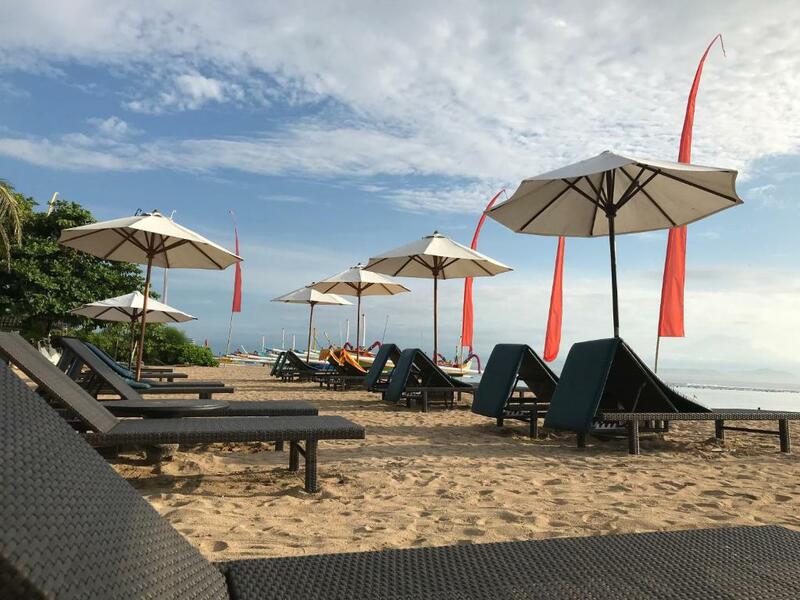 One of our top picks in Sanur.Located along the shores of Sanur Beach, Besakih Beach Hotel features a private beach area. 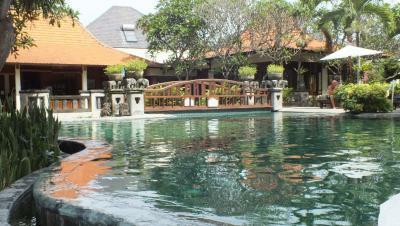 Nestled in tropical gardens, it features an outdoor pool and offers massage services. 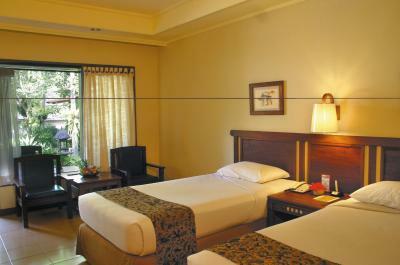 Besakih Beach Hotel is a 5-minute walk from Sindhu Art Market and a 10-minute drive from Denpasar Town. 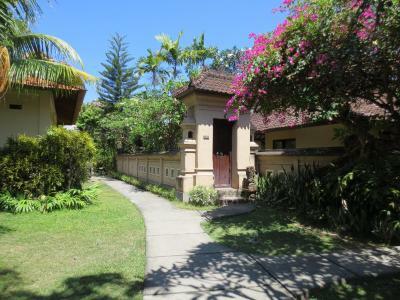 Kuta, Legian and Seminyak are a 30-minute drive away. Ngurah Rai International Airport is approximately 11 mi away while it tales 1-hour fast boat ride to reach Lembongan Island. 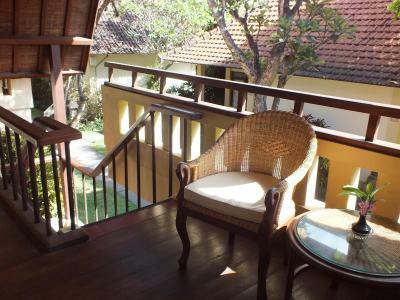 Modern rooms each have a balcony overlooking the garden. 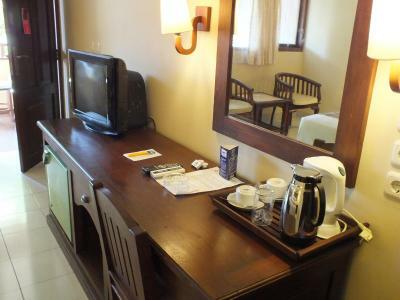 A cable TV, mini-bar and bathroom toiletries are provided. 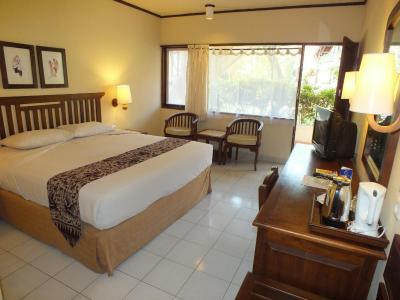 When would you like to stay at Besakih Beach Hotel? This room features a balcony with garden views. 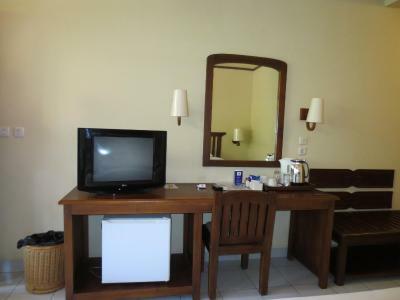 A cable/satellite TV and minibar are provided. 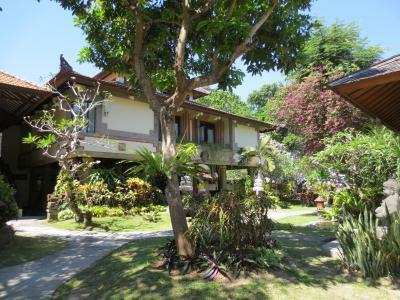 This spacious bungalow is located close to both the beach and the swimming pool. 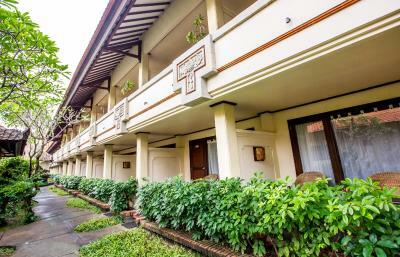 It also features a seating area, 2 cable TVs, a mini-bar, and an private bathroom with shower, bathtub, and free toiletries.There is also a balcony overlooking the lush garden. 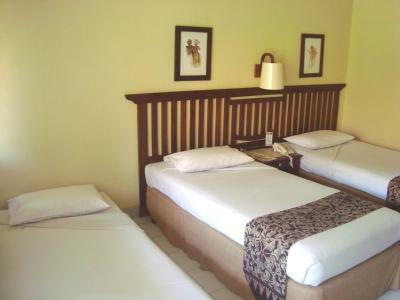 This twin/double room comes with an extra bed and has a balcony, seating area and mini-bar. This room cannot accommodate additional extra bed. 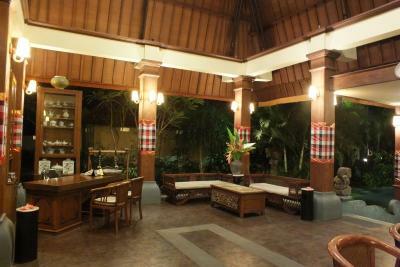 With minimum stay of 3 nights, guests will get free 4 bottles beer per stay and it is nontransferable and nonrefundable. 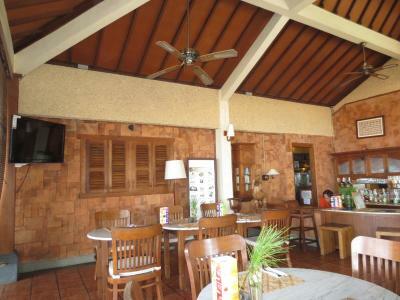 Located in front of Sanur Beach, within walking distance to some local and international restaurant. 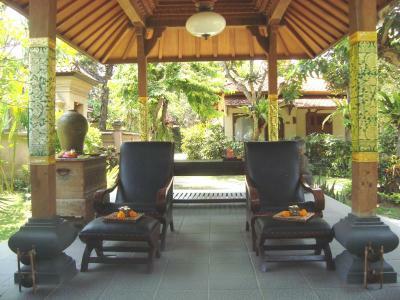 House Rules Besakih Beach Hotel takes special requests – add in the next step! 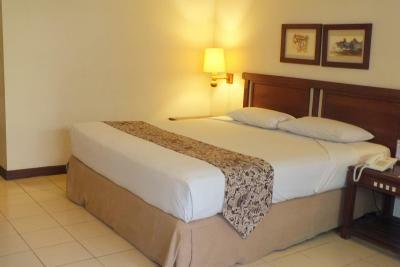 Besakih Beach Hotel accepts these cards and reserves the right to temporarily hold an amount prior to arrival. I didn’t dislike anything. Just some constructive feedback. 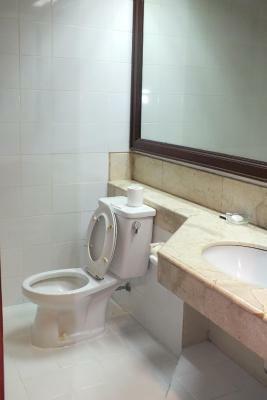 Some areas of hotel are a little dated and could benefit from a touch of paint. Also there was no safe in the room. Had to use safe at reception. Bit inconvenient for us. Beach side location. Pool was lovely. Fabulous view from restaurant. Breakfast was good. The buffet breakfast was served in a pleasant area close to the beach. The service was quick and efficient and the food was well prepared and tasty. 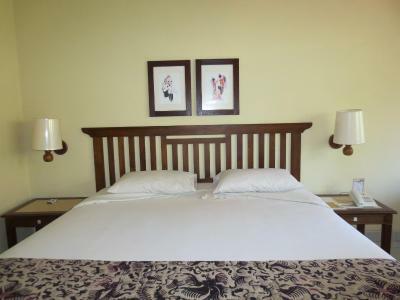 The room was comfortable and the shower always produced hot water straight away. This property is worn. Paint is peeling. Tiles are broken and cracked. The furniture is old and the bed is hard. The staff was helpful and friendly. The location was convenient. More power points in room would be great. Some renovations at the pool. Now finished. 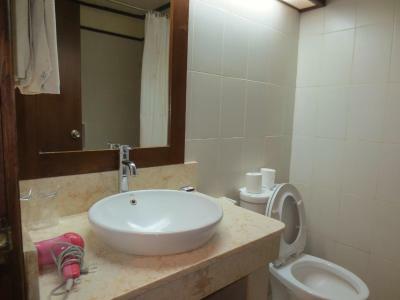 Rooms were a little below average. Need some renovations. Swim up bar wasn't available as it was being renovated. 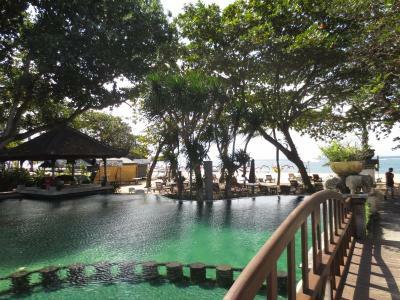 Loved the pool which looked over the beach. Gardens were beautiful too! Breakfast was poor only ate there once - but plenty of places close by for great breakfast at good price. Great location. A bit tired, but value for money. 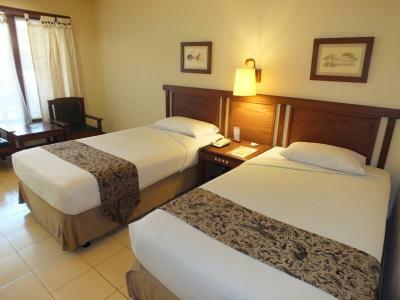 The hotel represents excellent value for money so from our perspective there were no significant negative points that would be worth mentioning. 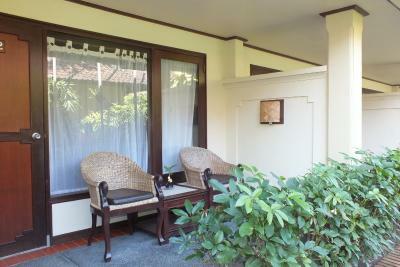 Location only a short walk from many different types of restaurants and small shops supermarkets etc. 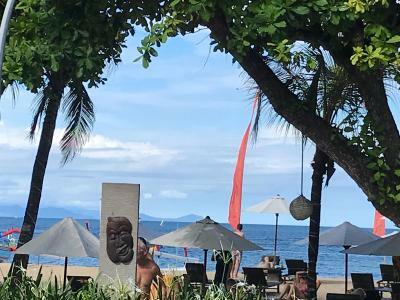 friendliness and helpfulness of all of the staff, food variety and flavour with exceptional Tom Yam soup and other interesting Indonesian dishes, informal beach area with comfy sun loungers and lots of shaded areas should they be required. The garden areas are beautiful and quiet with many types of birds, squirrels and frogs at night-time which make fascinating noises, the likes of which we do not hear in the UK!! We loved it at Besakih beach, it was quiet, the Breakfast was delishes, loved watching the sun rise without people trying to sell stuff, the rooms were a good size, and bathroom was clean,we were right on the beach, close to everything we will defently be back for sure. Staff very lovely and helpful!